We are very excited to announce that a new adult drama workshop has been added to our repertoire from Spring 2018! The workshop is called, Devising, Stagecraft and Confidence, and is already being very well received by those who know our work and have experienced our other workshops. To find our more about the workshop, click on the link below. Something to chase away the January Blues? So, with that in mind, wouldn't it be the perfect time to have one of our drama workshops to liven things up a bit? 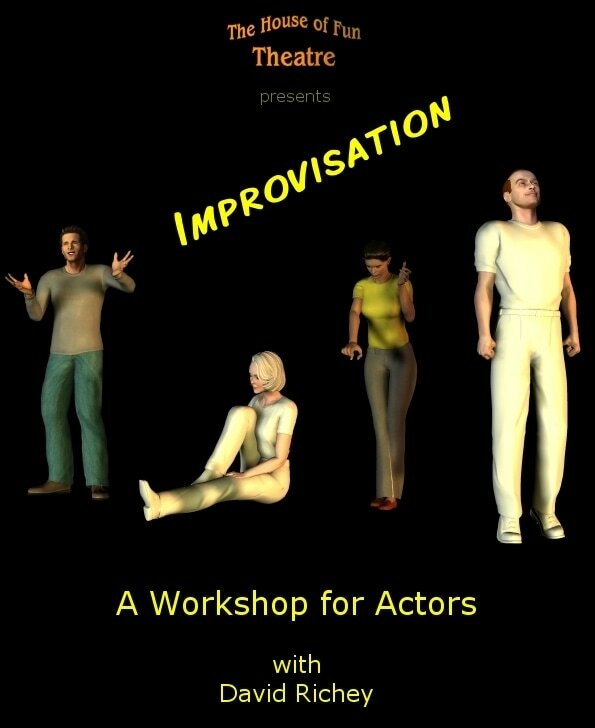 At present we have two adult workshops available - Finding the Character, and Improvisation. Both last for a full day (perfect for a Saturday or Sunday, perhaps? ), and both are available all year round. We come to you so no travelling is involved. We are also in the process of adding a third workshop. This should be available very soon. Keep watching our website and Facebook page for details. ​In the meantime if you would like to book one of our existing ones just drop me an e-mail and we'll get something arranged. Summer with The House of Fun! Well we're having a pretty good summer, weatherwise, here in Cornwall, but we've been spending much of June and July dashing around the country with our workshops. We've been all the way over to Hertforshire (twice), into the Hampshire countryside, to beautiful Oxforshire, and some lovely local visits too. It's been a busy couple of months and we've met some lovely people in awesome drama groups. We do still have some dates available in August and September though, so give me a call, or drop me an e-mail if you think you might be interested. We currently have two adult workhops on offer - Finding the Character, and Improvisation. Both run for a full day, and can accommodate up to twelve adult participants. Click on the pictures below for more details. Well summer certainly seems to have arrived in Cornwall! It's a beautiful sunny Monday morning, with love blue skies and white fluffy clouds. At the moment we still have a couple of dates available in June and July, and more in August, so if you're interested just get in touch (contact details here), and we'll take it from there. There are more details about the workshops on the website (click on the pictures below), but please ask if you have any other questions. Special Offer for early summer! I thought it would be nice to celebrate the start of Summer with a special offer, so during May and June of this year, I am offering both our adult drama workshops, Finding the Character, and Improvisation, half-price for groups in Cornwall. The workshops last for a full day each, and can accommodate up to twelve adult paricipants. This is a limited time offer so if you're interested and would like further information click here to send me an e-mail. ​You can read more about us on our website or click on the pictures below for details of the workshops. ​Spring is definitely on the way here in Cornwall. 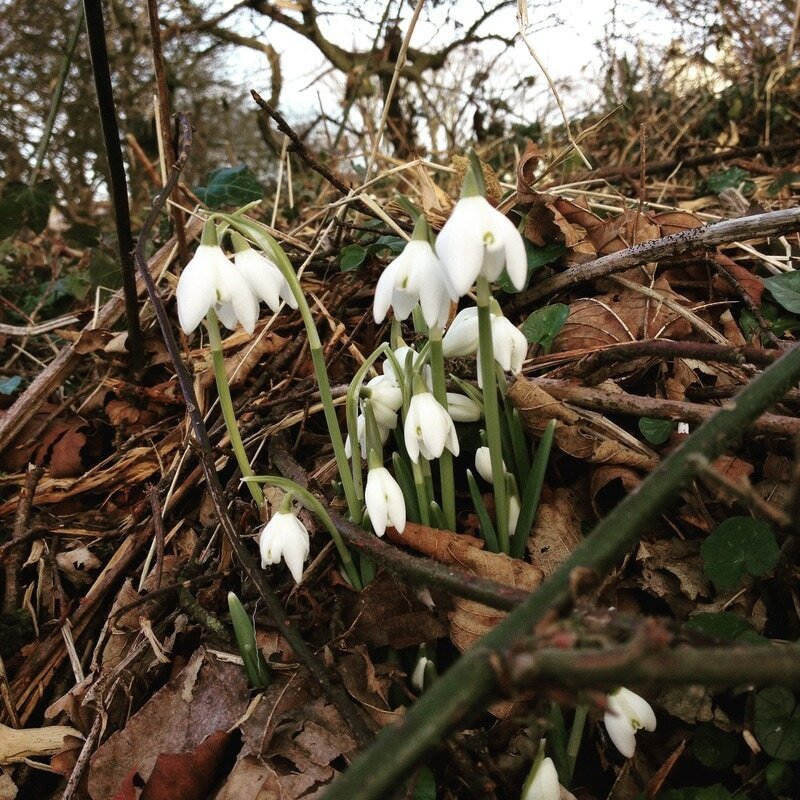 Lots of snowdrops and daffodils in evidence, even if the temperature is still a little on the chilly side! So with pantomimes out of the way now, maybe it's a good time to think about extending your acting skills with a workshop? We currently have two on offer to drama groups, Finding the Character, and Improvisation. Both are available all year round, and country wide. Check out the workshop pages on our website for more information about the workshops. Click on the pictures below to take you there. And click here to contact us. ,Further to my blog post last week regarding our special prices for November and December, we also still have three dates available in October, and I'm applying the £25 discount to those as well. So if you fancy a great fun workshop on 22nd, 23rd or 30th October, give me a call and we'll see what we can do! Check out our website for details of the two workshops on offer, Finding the Character, and Improvisation, and see our Testimonials page to find out what other groups have thought of us. ​Click here to e-mail me directly. Well the chilly mornings seem to have arrived, so to cheer you up, we are offering a £25 discount on our adult workshops during November and December. What could be more fun than spending a cosy day in a venue of your choice, honing your acting skills with a group of friends? 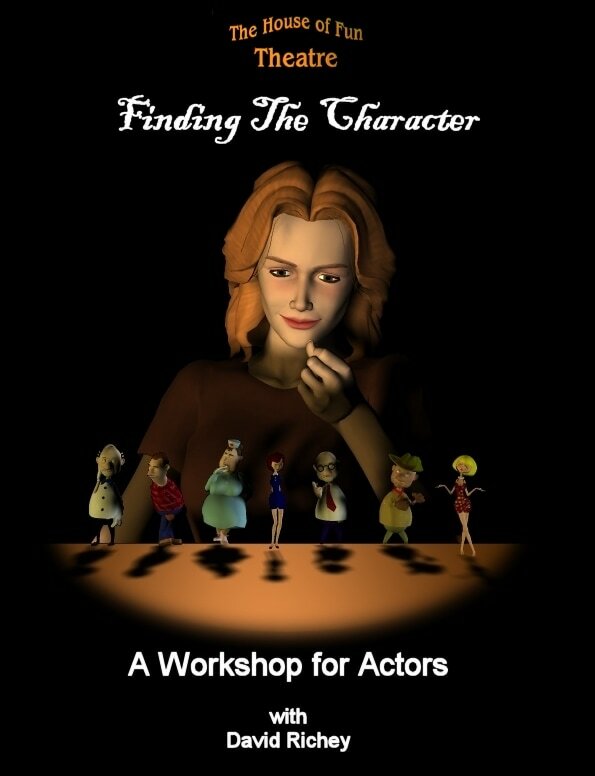 We have two great workshops on offer - Finding the Character, and Improvisation. More details (and contact details), are on our website, so please feel free to get in touch if you're interested. So back to school for most people today, including my son, starting two years at Plymouth College of Art studying Creative Media. A very exciting day. Also time to start thinking about the Autumn and Winter, and what better way to spend a chilly Autumn day than with a great fun drama workshop? Imagine a cold wet Saturday, but you are all cosy in the village hall having an awesome time learning how to Find the Character, or honing your Improvisational skills? Sounds pretty good! So do check out our website for details of the workshops, and give me call, or drop me an e-mail for info on price, availability etc. And just sometimes we run special promotions. It's always worth asking! All the contact details are on the website. And since we started this post with a mention of back to school, I should probably throw in that as well as our workshops for adults, we also do a Transition Workshop for Year Six children to help them prepare for moving on to secondary school. The details of that are also on our website. Well the summer holidays are speeding by, much too fast, and we'll soon be into Autumn. But there's still time for some summer fun, and what better way to enjoy yourself than with a great Drama Workshop! The House of Fun have been pretty busy lately and in the last month alone have travelled as far as Hertfordshire twice, to deliver our Finding the Character Workshop. And that's a good long drive from Cornwall! So you see distance is no problem to us. Wherever you are we'll bring our awesome workshops to you. At present we're offering two, Finding the Character and Improvisation and if you take a peek at our Testimonials page you'll see what other groups are saying about them. We have dates available all year round, just give me a call, or drop me an e-mail for more details. All contact details are on our website and our Facebook page.